We practice minimally invasive dentistry, ‘the least invasive treatment that stops further problems and restores the tooth to its normal state/function’. Where possible we will work with you to avoid a filling and focus on prevention and maintenance. We are an Amalgam free practice and use tooth coloured fillings which are smaller and more compatible with the natural environment of your mouth e.g. composite materials are similar in hardness to tooth enamel unlike amalgam which is significantly harder and can cause fractures on opposing teeth from biting/eating forces; we offer amalgam replacement where needed. 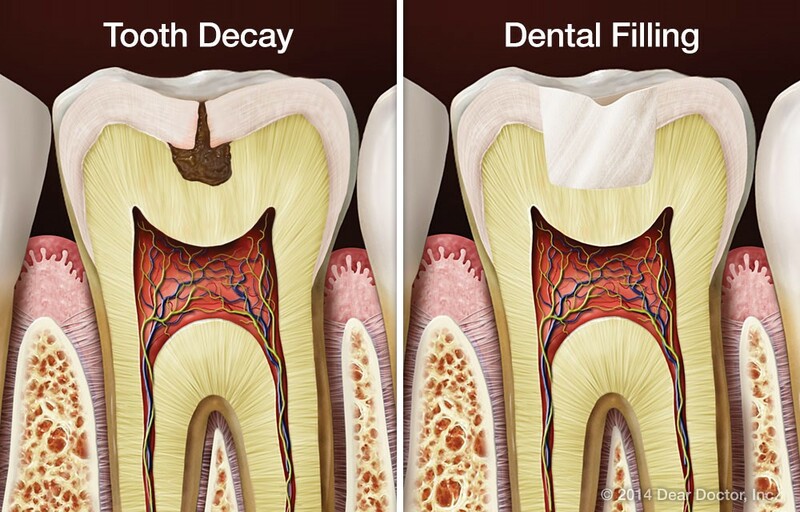 All fillings require maintenance and repair and eventually replacement. There are alternatives available in this case. We offer a wide range of options to restore broken and/or decayed teeth and will discuss what option is best for you at your appointment.